Botticelli: Heroines and Heroes explores the work of the legendary Renaissance painter Sandro Botticelli, focusing on a genre called spalliera that Botticelli employed with staggering originality. The catalgoue and exhibition, held at the Gardner Museum, Boston, include significant loans from European and American public collections. 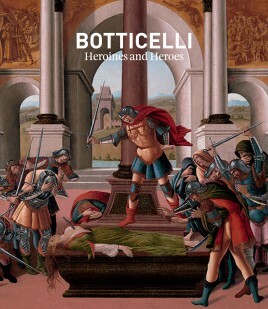 Botticelli: Heroines and Heroes explores the work of the legendary Renaissance painter Sandro Botticelli, focusing on a genre called spalliera that Botticelli employed with staggering originality. The catalgo and exhibition, held at the Gardner Museum, Boston, include significant loans from European and American public collections. Accompanying the exhibition at the Isabella Stewart Gardner Museum, Boston (14 February – 19 May 2019), this catalog explores the work of legendary Renaissance painter Sandro Botticelli (about 1444–1510). Today the alluring and enigmatic Primavera forms the cornerstone of his modern fame, but its familiarity belies distant origins in the heady intellectual environment of Laurentian Florence and the residences of its moneyed elite. Part of a genre called spalliera, so named for their installation around shoulder (spalla) height, this type of painting introduced beautiful, strange, and disturbing images into lavish Florentine homes. With staggering originality, Botticelli reinvented ancient subjects for the domestic interior, paneling patrician bedrooms with moralizing tales and offering erudite instruction to their influential inhabitants. At the center of this exhibition is a spalliera reunited, the Gardner’s Tragedy of Lucretia and its companion The Tragedy of Virginia (Accademia Carrara, Bergamo). Together with extraordinary loans of the same genre from European and American public collections, Heroines and Heroes explores Botticelli’s revolutionary approach to antiquity – from ancient Roman to early Christian – and offers a new perspective on his late career masterpieces. Catalog essays address Botticelli’s spalliera (Nathaniel Silver), their violence (Scott Nethersole), his textual sources (Elsa Filosa), and rediscovery in Gilded Age Boston (Patricia Lee Rubin). 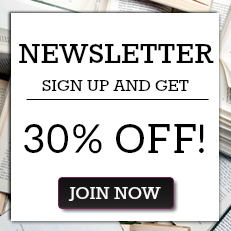 Entries include new insights for each work and up-to-date bibliographies, while a special section features archival materials devoted to Gardner’s pioneering acquisition of the first Botticelli in America. Associate Curator of the Collection, Isabella Stewart Gardner Museum. Nathaniel Silver organized Piero della Francesca in America at the Frick, and at the Gardne he co-curated Ornament and Illusion: Carlo Crivelli of Venice and Beyond Words: Italian Renaissance Books, recently awarded a prize for “outstanding exhibition” by the AAMC. "Brings together some of the Florentine painter's key works in this mode [spalliere] for the first time." "There is much to excite contemporary viewers, intrigue and repel them." "Botticelli’s violent stories have a contemporary resonance in #MeToo era"